during 7 years designed national and international comics for Maurício de Souza,Disney and Marvel. Between 1994 and 1995 he started doing illustrations and work with copyright animations for MTVBrasil,with interest in many media,and willingness to transform and show its design. “the graffiti made me find my picture!Other techniques,other references and attitudes in my life,after that I did see my work with fresh eyes,feelings,people,chaos,dreams,urban calligraphy,culture,and nature”. 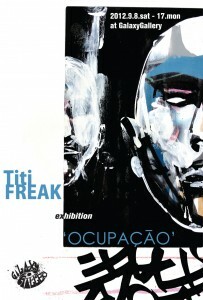 T’Freak already showed his work in galleries at London,Madrid,Paris,Tokyo,Osaka,New York,Los Angeles,Vancouver,Berlin,and São Paulo’s art museum MASP. 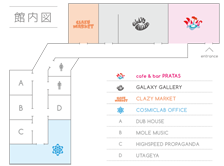 “OCUPACAO” is the second exhibition in Osaka since 2007. There’s gonna be BIG INSTALLATION , PRINTS , and LIMITED T-sht. 2010- expo-group- “Transfer-arte urbana e contemporanea” Pavilha das Culturas Brasileiras,Parque do Ibirapuera. 2010- expo-group- ”1Bienal de Graffiti internacional” -MUBE/Museu Brasileiro da Escultura. 2010- expo-solo- ”Moniker Art Fair” London/UK. 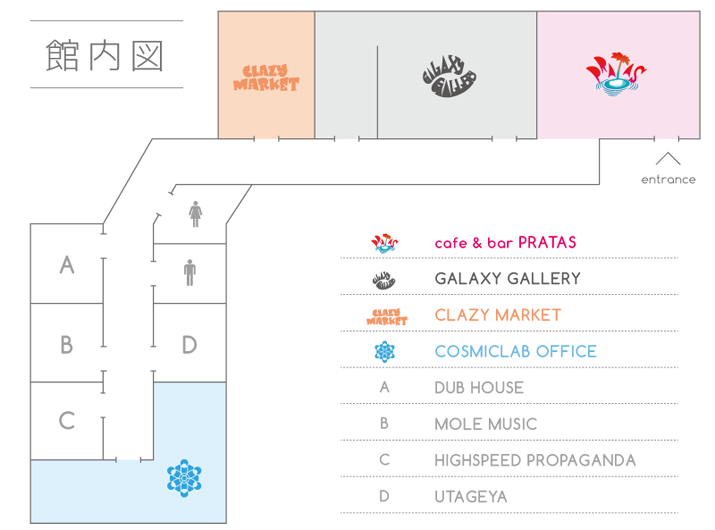 2011 -expo-group- ”CrazyCrimers2″ -CASO-Contemporary Art Space Osaka,Osaka/Japan. 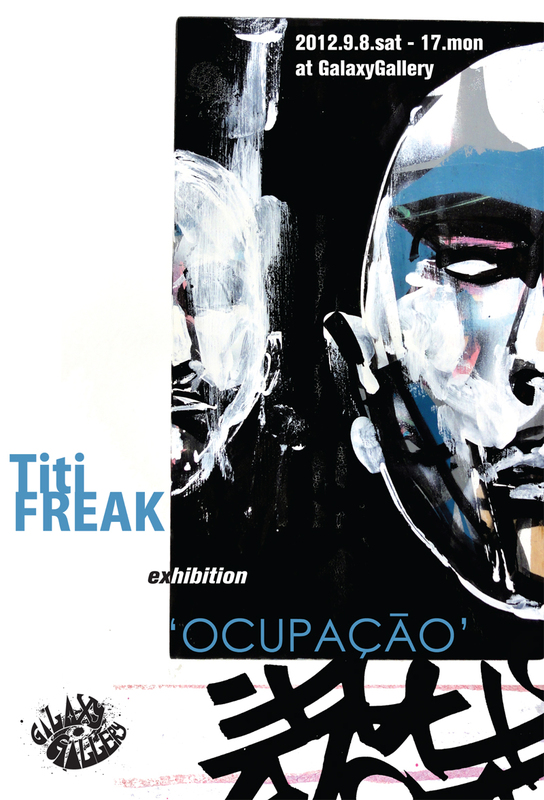 2011 -expo-solo-ProjectArt ”TFreak X OneThirty3″ ,Onethirty3 ,NewCastle/UK. 2011 -expo-group – “One Wall ,One Painting” – Le Feuvre -Paris-France. From this year begins to devote himself solely to his original work in streets ,project art ,galleries and museuns. … cultural exchange between Brazil and France,invited to paint some panels in the IGS University in Paris and Toulouse. … ends and would sign a three prints for the Pictures On Walls with the first sold out in two hours. 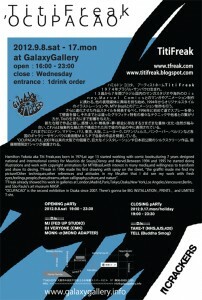 …Tfreak is invited by Nike Japan to painting and make installation in the gallery store of Nike in Tokyo – Tokyo /Japan. …Project art/Communty & Graffiti -Ishinomaki- Japan Foundation e Embassy of Brazil in Tokyo.